This node extracts a color map from an input terrain or composed terrains with a color map. To add a node, right click in the Graph Editor and select Create Node > Color > Extract color map. 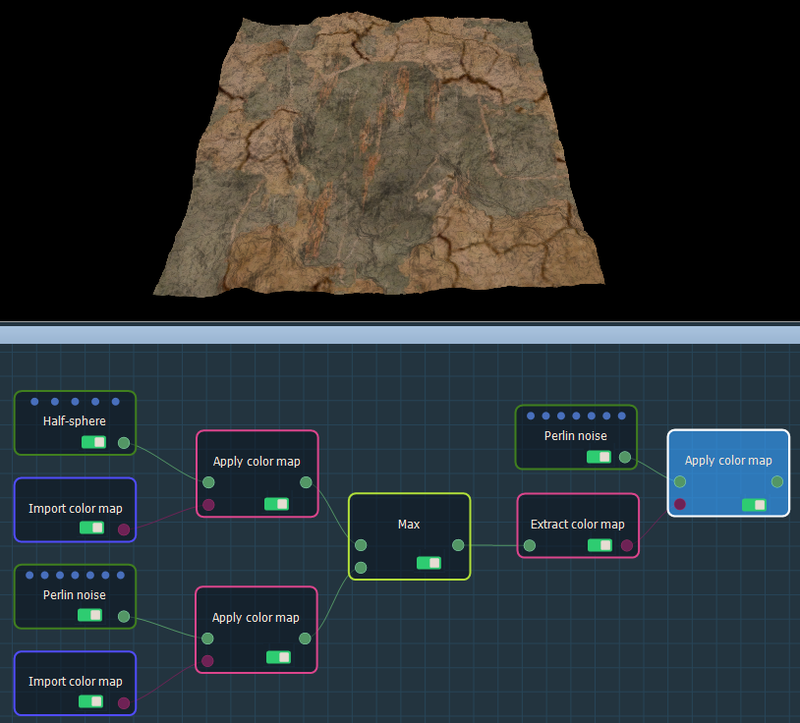 When the Extract color map node is linked to a terrain with a color map, you can extract this color map and apply it to a terrain generator using an Apply color map node or export it as a .tiff, .png, .tga, or .bmp file. Below, we link the Extract color node to an Export color map node to export it to a file. 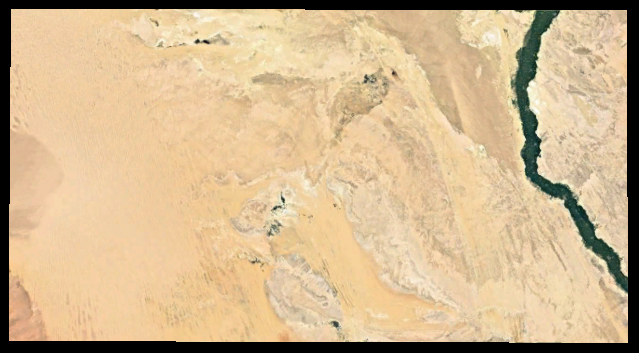 In a more complex project, we extract the color map created from composed terrains and apply it to a terrain generator. By clicking on the Apply color map node, we see the effect on the Perlin noise generator. When you click on the Extract color map node, the color map is shown as a plane image in the 3D view. For more information on color management see the Color management workflow.